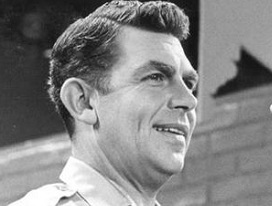 With the passing of actor Andy Griffith in 2012, his most famous TV character, Sheriff Andy Taylor of Mayberry, is worth another look for his low-key brand of leadership. Lead from the heart, not by the book. As the person in charge, you are sworn to uphold laws, rules and policies. Andy’s deputy, Barney Fife, was certainly a letter-of-the-law kind of guy. But even though Andy appreciated Barney’s zeal, he also demonstrated that sometimes you ought to overlook a few things to make sure justice is done. Go easy on your people. However badly Barney, Otis or Gomer may have messed up, Andy cast them in a good light. “Barney!” he’d say. “You beat everything … you know that?” He showed us the value of loyalty. Slow down. Andy found time to take Opie fishing or Helen on a picnic. Despite the serious responsibilities of his job, there was no “tyranny of the urgent” for him. — Adapted from “Leadership Lessons from Sheriff Andy Taylor,” Doug Dickerson blog, www.dougsmanagementmoment.blogspot.com.